Andersons Martial Arts NYC Brings Home Another Title Belt in MMA! 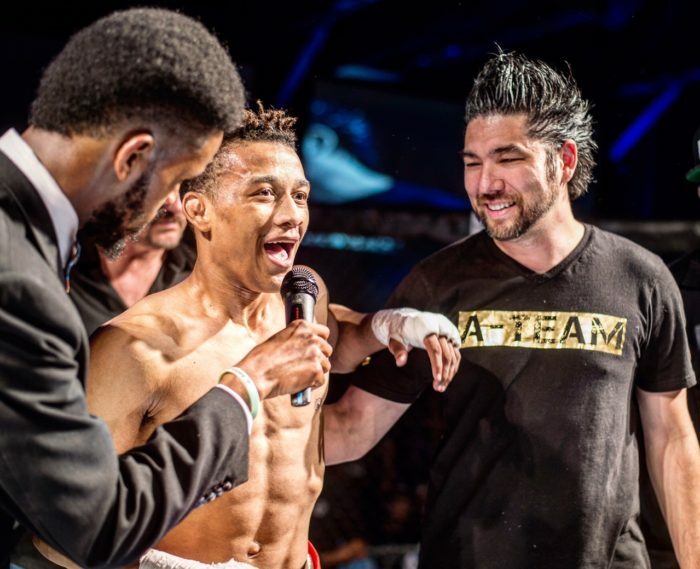 The ‪#‎Ateam‬ would like to congratulate another one of our amazing and inspiring fighters Perez Figueroa for an awesome win this past Saturday. 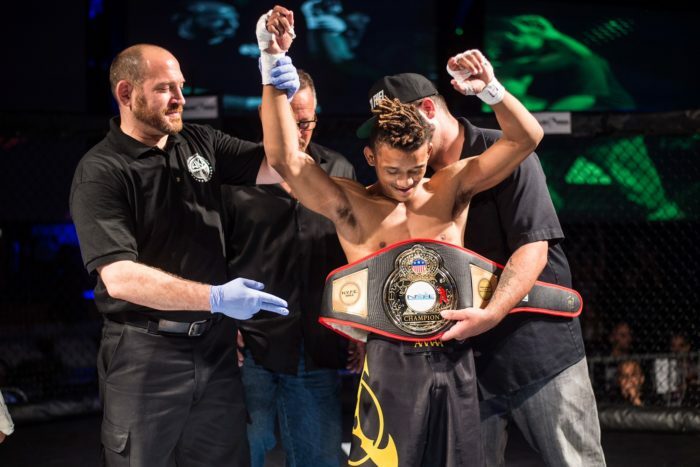 PJ is bringing home the WKA 125 flyweight MMA New York State Title Belt. About the match: PJ won by a TKO submission; an armbar submission 30 seconds into the second round. 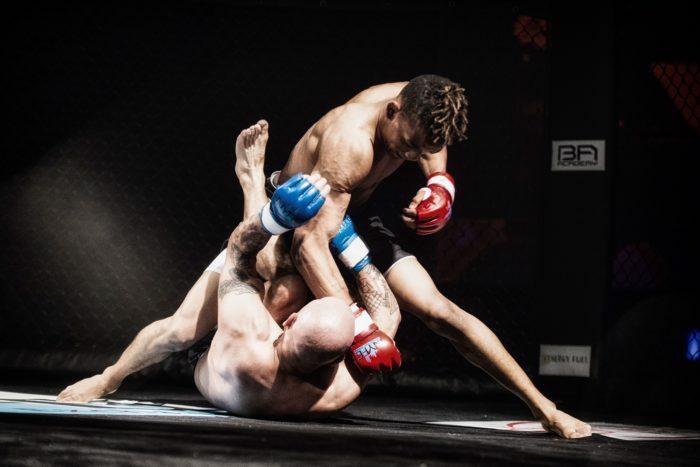 In the first round PJ has a very tight omaplata, but his tough opponent held off until the bell and so the second round started with an immediate fight for control and position. 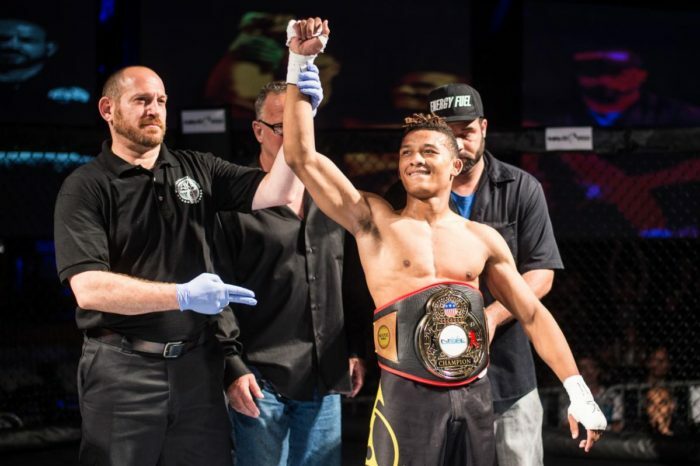 Luckily PJ is extremely well trained, he worked hard with Sifu Anderson and his training partners during his camp, and so he came out with a tight armbar that won him the belt. AMAA would like to thank the WKA, NYFE, all of the refs, the fighters, his opponent, our Chicago family, and of course our amazing Andersons family – every single student that has supported all of our fighters in their unique goals, as well as all of the training partners, coaches and teachers.